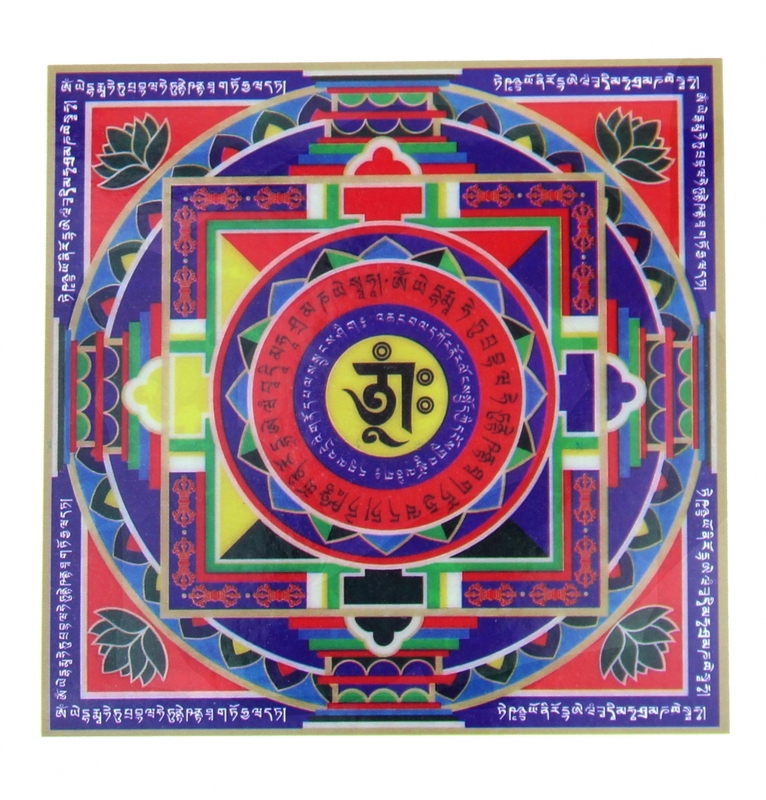 Place this Dzambhala mansion sticker (mandala wealth sticker) at home to attract money luck and prosperity blessing! A mandala representing the universe is a spiritual and ritual symbol in Hinduism and Buddhism, . In common use, "mandala" has become a generic term for any diagram, chart or geometric pattern that represents the cosmos metaphysically or symbolically; a microcosm of the universe (from Wikipeida). The dimension of the mandala wealth feng shui sticker is approx. 4.75" x4.75". It is made of paper coated with plastic to resist water.